After five months of evaluation by the experts organized by China Scholarship Council, the list of “2016/2017 Excellent International Student Scholarship” set up by Ministry of Education has been released days ago. Three international students recommended by USTC have been awarded this scholarship. There are only 201 vacancies of “Excellent International Student Scholarship” this year for all international students studying in the second year or above at universities, which can accept international students with Chinese Government Scholarship, totally 269 universities, to compete. Every university can recommend 3 students to join the competition, and they will be evaluated by experts organized by China Scholarship Council according to their academic performance, research abilities and behaviors in China, etc. Base on the principle of “fair, impartial and open”, USTC international students submitted application, relevant professors and experts evaluated all the applications according to their academic score, numbers and qualities of their published academic papers and other performance in school, and USTC Reviewing Committee finalized the list of students to be recommended. 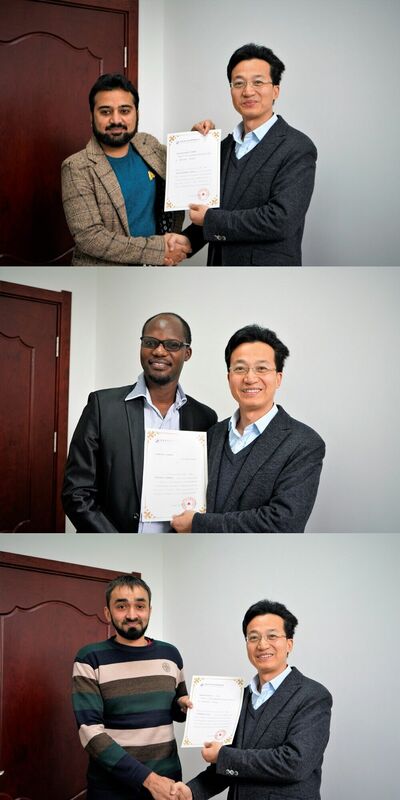 It’s inspiring that all the three students recommended by USTC won this scholarship out of the fierce competition, and each of them received RMB 30000 yuan for the scholarship. The three international students are: Sakander Hayat，from Pakistan, Doctoral Candidate in School of Mathematics Sciences, whose supervisor is Professor Jacobus Koolen; Emmanuel，from Rwanda, Doctoral Candidate in School of Chemistry and Materials Sciences, whose supervisor is Professor Xu Tongwen; Rana Muhammad Irfan，from Pakistan, Doctoral Candidate in School of Chemistry and Materials Science, whose supervisor is Professor Du Pingwu. Recent years, USTC has been working hard on publicity and recruitment of more and more excellent international students, and keeping focus on high-class cultivation and detailed management. 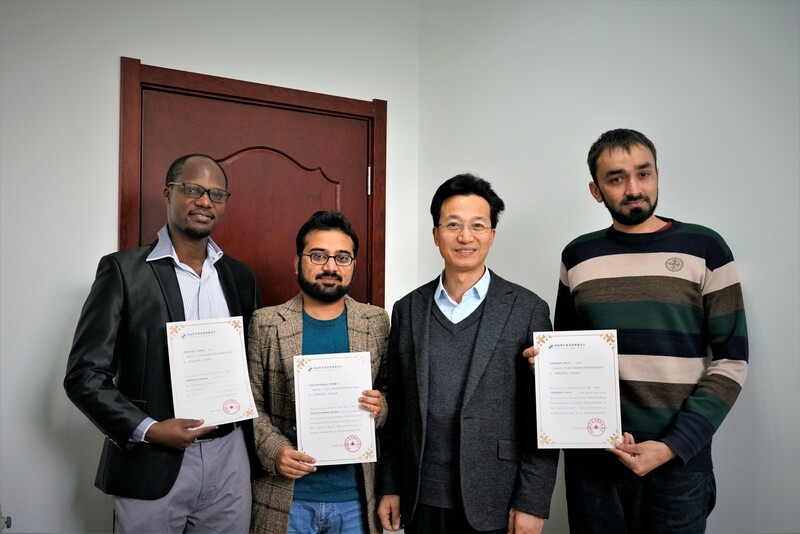 This winning of scholarship has set an excellent example for all international students in USTC and will influence them positively on working harder and harder, as well as improve a better academic atmosphere. I am Sakander Hayat from Pakistan, a final year PhD student of Mathematics under supervision of Prof. Jack Koolen. In my first year of PhD in 2014, I dreamt to win the international outstanding student award. 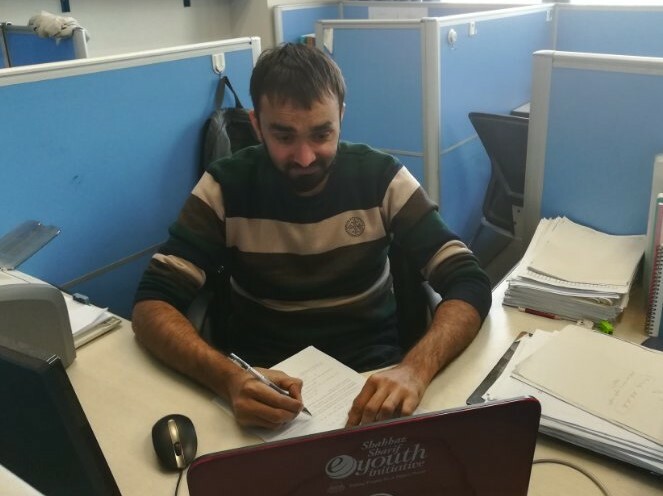 I knew that it would be pretty hard for me because of the reasons like I came with a background of Applied Mathematics and I would be doing Pure Mathematics because of my supervisor's interests. The other reasons include having low impact factor in mathematics and catching up my supervisor's higher standards and expectations. Nevertheless, in order to pursure my dream, I work hard and tried my best to perform. As a result in 2016, I got a paper accepted in a good journal with my supervisor being the first author. I applied in my third year and couldn't get selected. I didn't give up and published two first-authored papers in very good journals. I also published some single author papers to enhance my competency. Finally, I got selected in my last attempt. I guess all I want to say is that, Dream Big, Do Your Best, Never Give Up and Achieve Them! Finally, I would like to thank the international office which is always there to listen and solve your problems. I also wish to thank my family, friends and my supervisor for playing their crucial roles at every step. 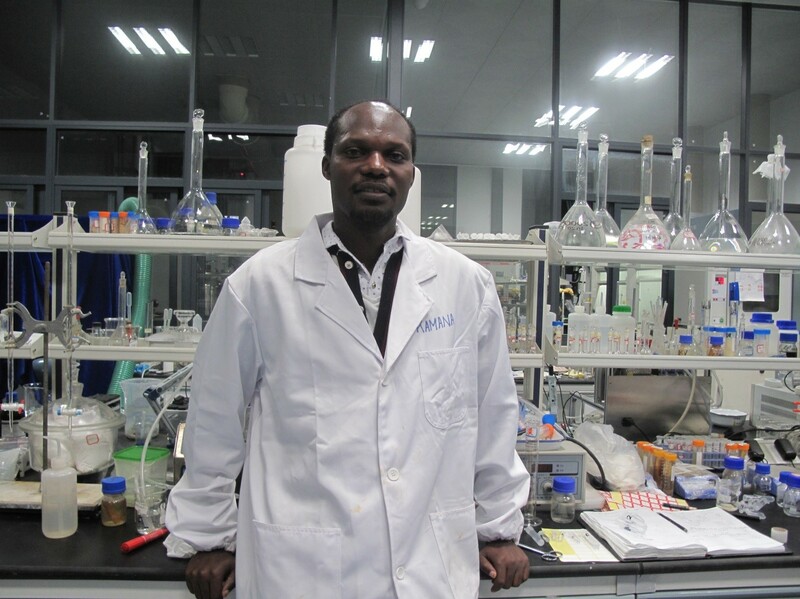 I am Kamana Emmanuel from Rwandan and now I am doing my PhD in Chemical Engineering (School of Chemistry and Material Sciences) in University of Science and Technology of China (USTC) under supervision of Professor Xu Tongwen. I joined this university in 2014 as PhD fellow under CAS-TWAS Presidential Fellowship. 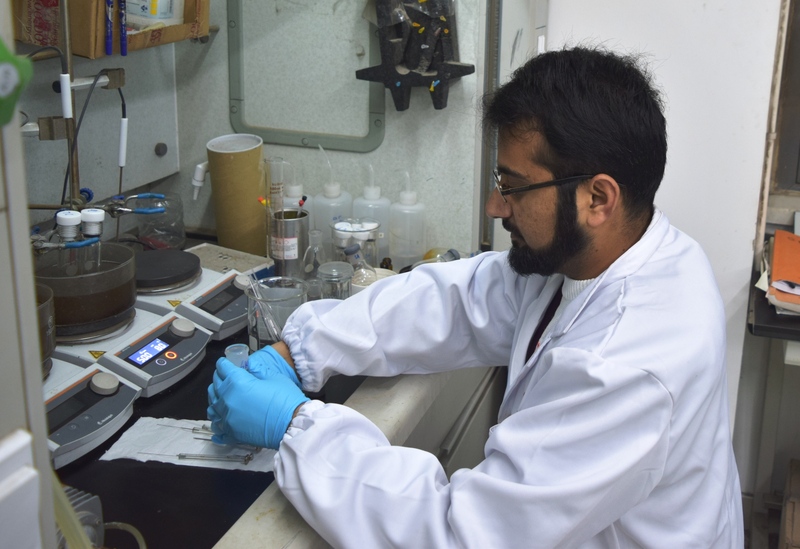 my work focuses on industrial applications based on separation technology where I am using membrane technology as a tool for various separation processes (waste treatment, acid, metal and base recovery, etc). I am author and co-author of more than 15 papers in SCI journals with good impact factor. I am happy to be honored a Chinese Government Outstanding International Foreign Student Award in 2017. To win the “Excellent International Student Award” is an honor and pleasure for me to join past recipients who I have long respected and admired. A very special thanks to the USTC for nominating me to CSC and an enormous salute to all of this year’s nominees each of whom have made outstanding contributions to the scientific and cultural community. I joined department of “Material Science and Engineering” in 2014. As I reflect back to those early days at USTC, what was so quickly noticeable were Chinese language classes and my first research project in lab. I have faced several challenges on my way here, but each one of them has only strengthened me to make me the person I am today; a thorough professional who knows exactly what he wants; someone who sets her eyes on a goal and does not lose sight of it, unless it is achieved. Winning this award would not have been possible without the encouragement and guidance of my supervisor Prof. Pingwu Du. I would also profoundly oblige my all lab fellows and friends for their cooperation and moral support.